In Summer 2016, a group of Dutch students and teachers traveled to Ukraine for a two- week study trip on European culture, integration, nationalism and international conflict. This successful trip will be repeated in July 2017. The Grensland Society also started other forms of cooperation, exchange and support between the Netherlands and Ukraine. In cooperation with the Sen Foundation, the Grensland Society was founded in 2016. We cooperate with Ukraine by means of projects that contribute to the development of citizenship, democratic attitudes, innovative entrepreneurship and cultural collaboration. If you want to know more about the Grensland Society, click here. 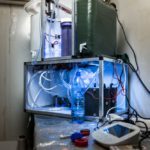 In 2015, th e Sen Foundation started a project to invent and produce a small water purification device to remove salt from saline underground water, to provide drinking water to refugees and poor people in isolated communities. The small-scale desalination device uses a unique technology invented by Ir. Emad Khatziba from the Boomym Foundation. This project is developed further in cooperation with The Hague University of Applied Sciences and financial support from its Innovation Fund. In April 2017, field testing took place in Mali with the assistance of the Dutch Ministries of Defence. Read more on the project here. Read more on the testing of the device here; and click here in order to retrieve more information from the Ministry of Defence. The Sen Foundation served as an incubator for the Humanity Formula. The Humanity Formula is a group of young professionals from around the world that deeply believes in humanitarian efforts. The Sen Foundation actively contributed to the Immediate Support for Refugees (ISR) project of the Humanity Formula. It is a grass-roots initiative that tackles the issues of insufficient supplies of daily needs in refugee camps in Germany, Greece and The Netherlands by providing refugee camps with urgently needed products. The Sen Foundation makes an annual donation to a project in Africa which supports health care and contraceptives for females in Africa. Through this support, much sorrow can be prevented in relation to unwanted children who do not receive the care they need and often die due to infections and hunger. In general, the demand for contraceptives and related healthcare is enormous. 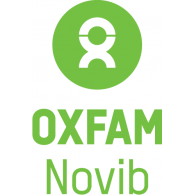 This project is led by Oxfam Novib.